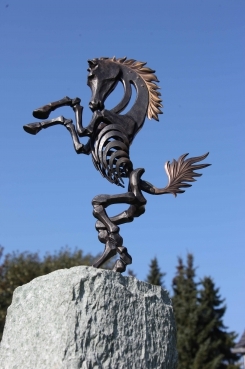 Artist blacksmith business based in Germany (Vettelschoss / Bad Honnef / Linz am Rhein) – mainly specializing in hot forged iron, bronze, copper and brass, although we also occasionally work in stainless steel and other more exotic metals. We still practice traditional blacksmith methods of fabrication but also use more contemporary technology when this enhances the quality of an object, both aesthetically and the process of manufacture. 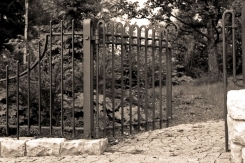 More often than not today, when a client contacts us for gates, railings, window grills, etc., they have in mind a piece of work that is not only functional but with a form suited to the situation for which the piece has been designed. This interaction with clients is our specialty. Being a small blacksmithing business, we are able to work closely with them to create a unique, customized piece of forge blacksmith work. 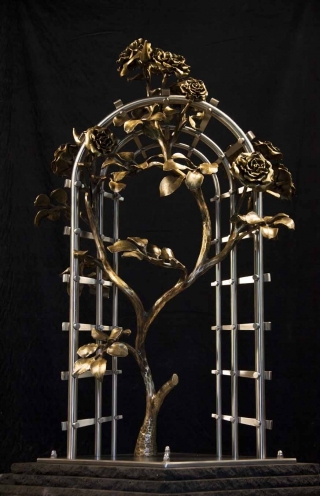 Aside from the more practical side of art metal work are the sculptures we have designed and created - some of which are still available directly from "Artist blacksmith Mark Prouse Elements" or one of the galleries and exhibitions listed on the "News" page of this website. 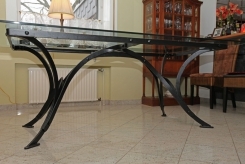 Thank you for visiting our website and we hope you enjoy the sample images in the "Portfolio".